Mack launched the Mack Anthem for the North American market however it is understood that VGA is firmly committed to bringing the Anthem down under as soon as possible for a range of applications. Truck and Bus News understands that VGA would like to see the Anthem on Aussie and Kiwi roads within two years around the end of 2019 we believe. Mack Trucks president Dennis Slagle says the Anthem is one of the most significant new trucks in the 117 year history of the company. 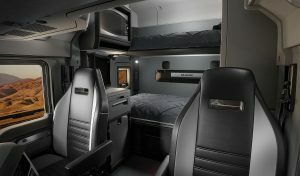 “As one of the most significant new trucks in Mack’s 117-year history, the Anthem combines our latest innovations with more than a century of truck-building know-how,” Stagle said. Mack Trucks Australia vice president Dean Bestwick said the launch is a really exciting time for Mack which is a brand that has been going from strength to strength both here and across the globe. “The Mack Anthem is an insight into the future direction for Mack Trucks and what a great looking future that is,” said Bestwick. Mack says it went to to unprecedented lengths to get driver input during the development of the Anthem and says the result is unlike anything on the road today. 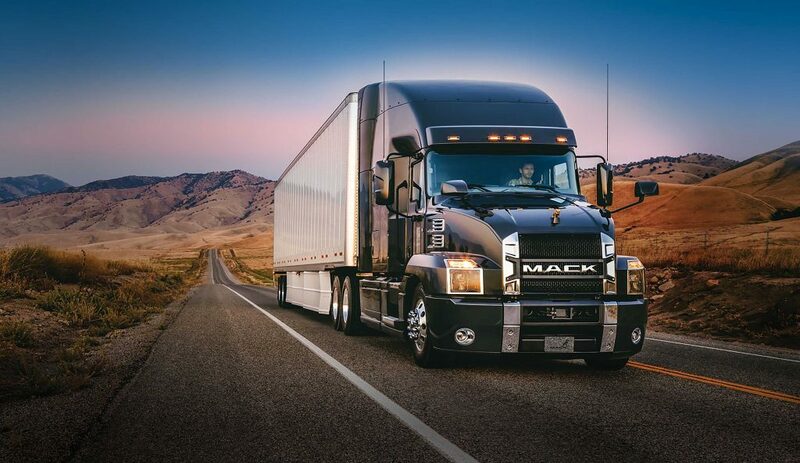 Engineers and designers at Mack have done an amazing job retaining the bold and chiselled looks while improving aerodynamics, resulting in increased fuel economy. “Like all global releases, we will not launch a product locally until we’ve extensively validated it in the unique and challenging conditions of the Australian and New Zealand markets,” Bestwick added. 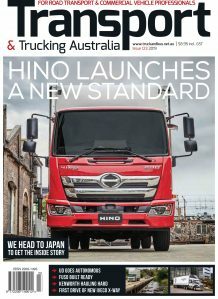 “What’s particularly exciting is the inclusion of a fully-integrated stand-up sleeper on the Mack Anthem, and its huge potential in the Australian and New Zealand markets. “While the North American Mack Anthem is primarily a serious on-highway truck, we feel there would certainly be a demand down under for a rigid version in vocational applications. The development of the new Mack involved consultation with truck drivers, to ensure the final product is a truck built for the end user. Mack claims the Anthem makes a clear statement which despite its chiseled appearance delivers uop to three per cent improvement in fuel efficiency as a result of its new aerodynamic enhancements Mack engineers also redesigned the roof and chassis fairings, mirror covers, and front bumper and air dam to more easily cut through the wind. The Anthem’s redesigned hood and bumper also help cut service time with both featuring three-piece construction for improved serviceability in the event of damage. A new hood latch and release system also saves drivers’ time during pre-trip inspections. A central latch release below the grille eliminates the need for drivers to walk from side to side to tilt the hood. The hood also requires 50 per cent less effort to raise than before. The new truck has a new cockpit and controls which has incorporated driver feedback for improved functionality, ergonomics and convenience. Gauges on the instrument panel have been positioned higher for better driver visibility, while HVAC controls and the Mack mDRIVE shift pad have been relocated closer to the driver’s fingertips. All switches for additional truck functions like cruise control, PTOs and traction control now feature laser etching to help maintain markings over the long life of the vehicle. Mack says racecar controls Inspired the new flat-bottom steering wheel which it says is a truck industry first, providing improved dash visibility and easier ingress and egress. The new steering wheel also contains illuminated controls for cruise control, Bluetooth and the audio system. Mack’s Co-Pilot display has also been updated with a new 5-inch color screen for improved visibility and more intuitive navigation and a convenient way to monitor vehicle information, including engine and oil temperatures, trip odometers, after treatment status, tyre pressures and more. A Pre-Trip Assistant guides drivers through inspection points and includes a single person exterior light inspection mode. Anthem models will be available with a new information and entertainment option featuring a 7-inch touchscreen display giving drivers safe access to Apple CarPlay, satellite radio, weather band radio and TomTom truck navigation. The display is also compatible with third-party back-up camera systems. Powertrain options will consist of the 2017 MP series of engines mated to the mDRIVE automated manual transmissions, with Mack axles.